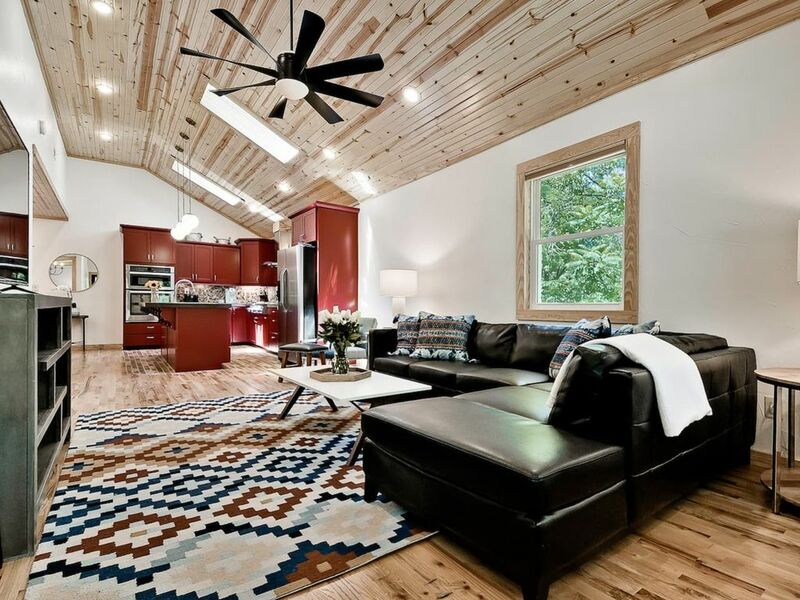 Looking for Top 10 Airbnb and vacation rentals in Bentonville Arkansas? These popular accommodations offer close proximity to mountain bike trails, Walmart Headquarters, Crystal Bridges Museum of American Art, rich culinary options, a happening Downtown Square, a burgeoning music scene, 8th Street Market, festivals and more. All this, plus more space, better amenities, including full kitchens translating to lower dining costs and washer and dryers which mean fewer travel clothes. Neighborhood locations mean friendlier people including hosts who typically offer more authentic information than the local tourist bureaus. 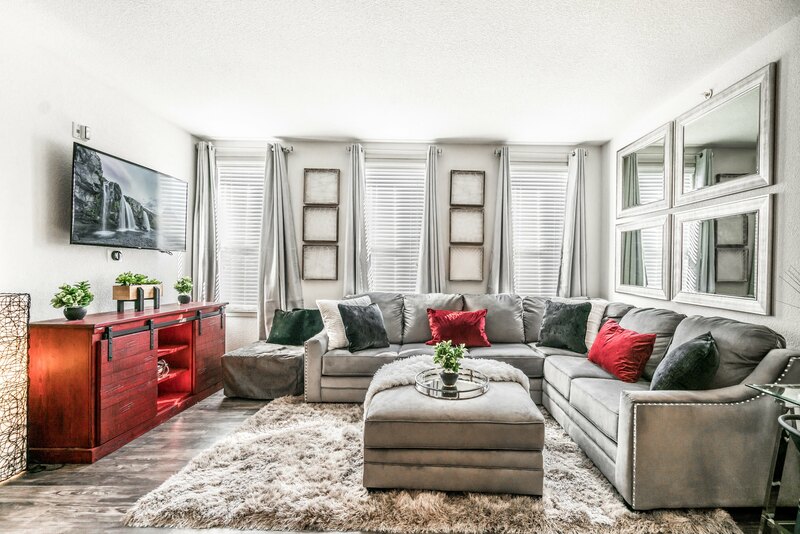 Super Host, Melissa, a charming hands-on Superhost incorporates innovation and personal flair in this beautifully decorated and furnished close to downtown and near trails. Perfect for cyclists, vacationers, business travelers, family events and more. Always thinking of her guests, nothing is left to chance, and everything you need is at your fingertips including bottled water and coffee. Need some tips about how to get around in Bentonville? Just ask Melissa, she’ll answer your questions, and you’ll be on your way with the help of a local expert. Click here for best price. TYPE : Entire House, 1225 sq. ft. 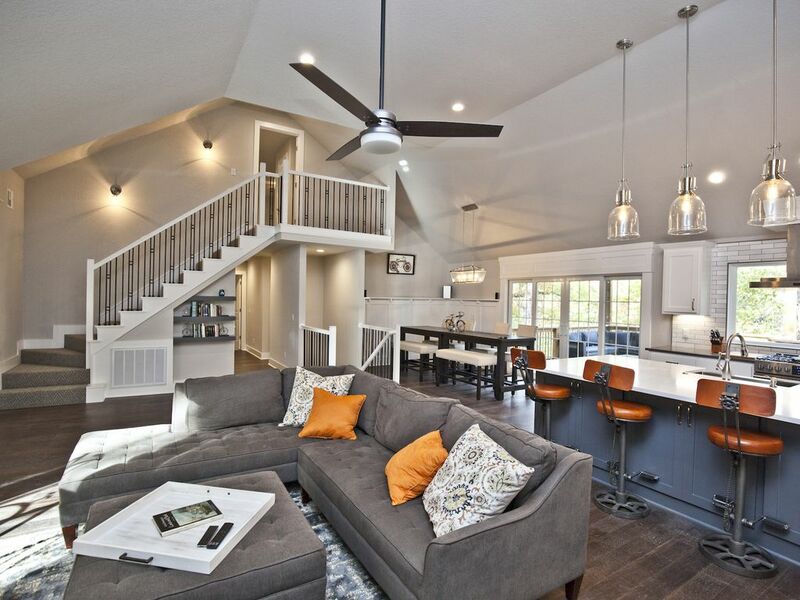 This amazing newly-remodeled home has everything you need and want in a vacation home. It sleeps 15, and is perfect for family gatherings, cycling events, team building and more. You may dine in if you choose as the kitchen is fully furnished with everything you need to prepare a meal in style. There’s a wonderful game area with pool table, foosball, darts, poker table and more. The property is close to trails, downtown Bentonville with its Historic Square, eclectic restaurants, friendly pubs, boutique shopping, art galleries, world-class museums and all things Bentonville. This is just the place to relax and have fun while enjoying Bentonville. Click here for best price. With trails just out the door and downtown Bentonville only steps away, this new ground-floor condo is conveniently located to let you enjoy all the attractions of Bentonville including Crystal Bridges Museum of American Art, the Historic Bentonville Downtown Square (be sure to check out Spark Cafe, and get and ice cream cone), amazing restaurants, pubs and bars, art galleries and boutique shopping, live music and all other things Bentonville. It is beautifully appointed, and has everything you might need for a fun-filled vacation. Click here fore best price. 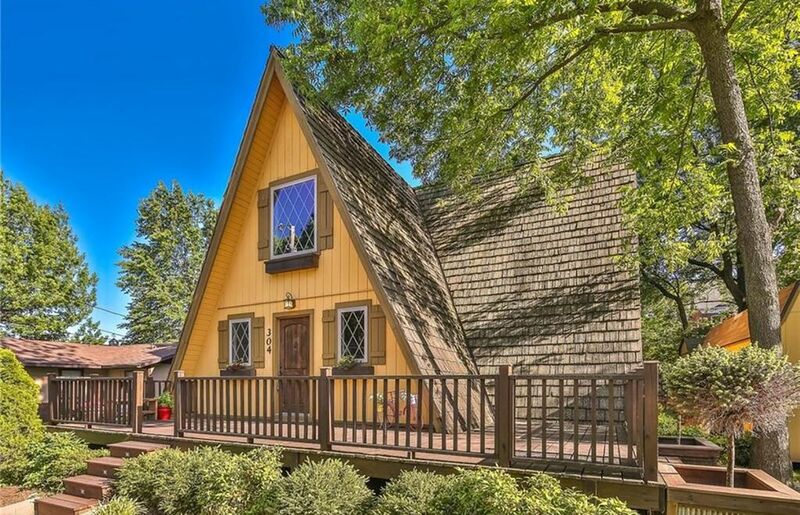 The Henry is a rare 4-bedroom, A-frame find. Beautifully decorated, spacious and exceptionally appointed, The Henry is located in the middle of downtown Bentonville. 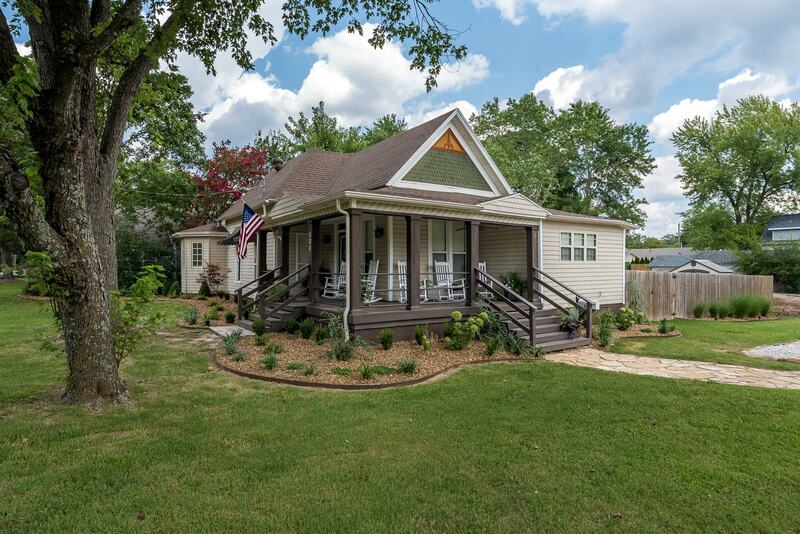 Museums, delightful restaurant and friendly bars, the Historic Bentonville Square and live music are all within easy walking distance of this beautiful, amazing property . 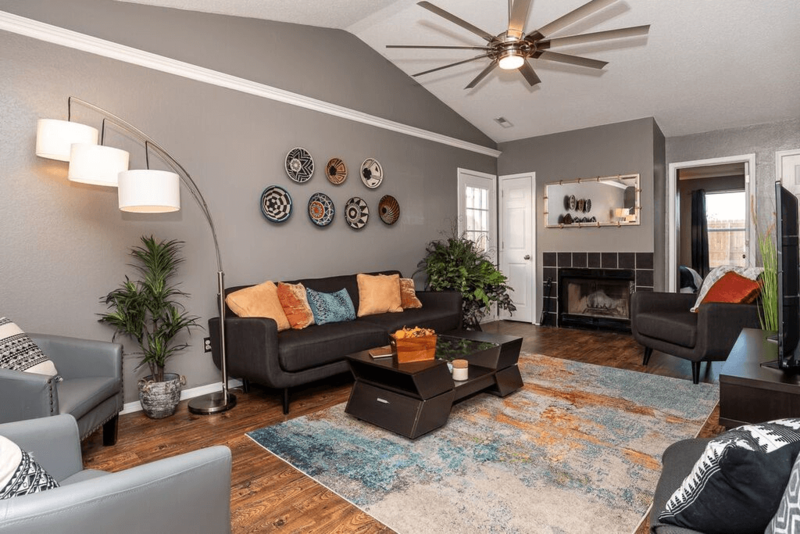 Melissa, the Superhost, is quick to accommodate your every need, and she is also full of tips about how to enjoy the wonderful city of Bentonville. Click here for best price. 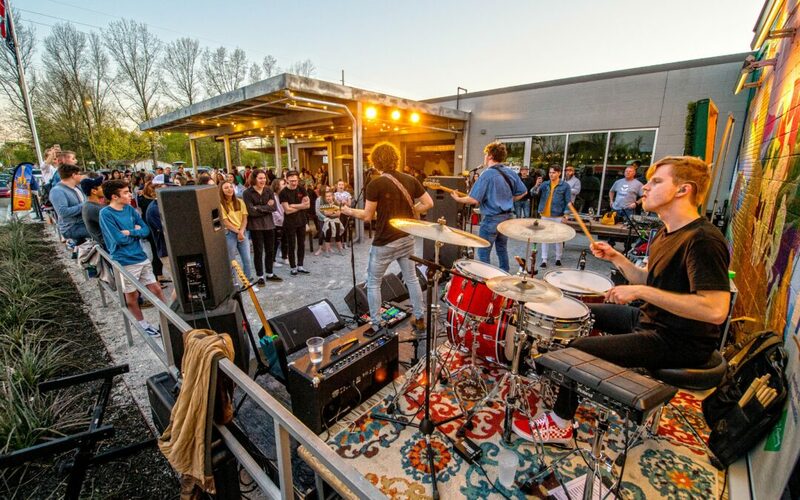 Just a 5-minute drive to downtown Bentonville including the Historic Downtown Square, eclectic restaurants, friendly pubs and bars, live music, trails, exciting Boutique shopping, art galleries, museums and all things Bentonville. 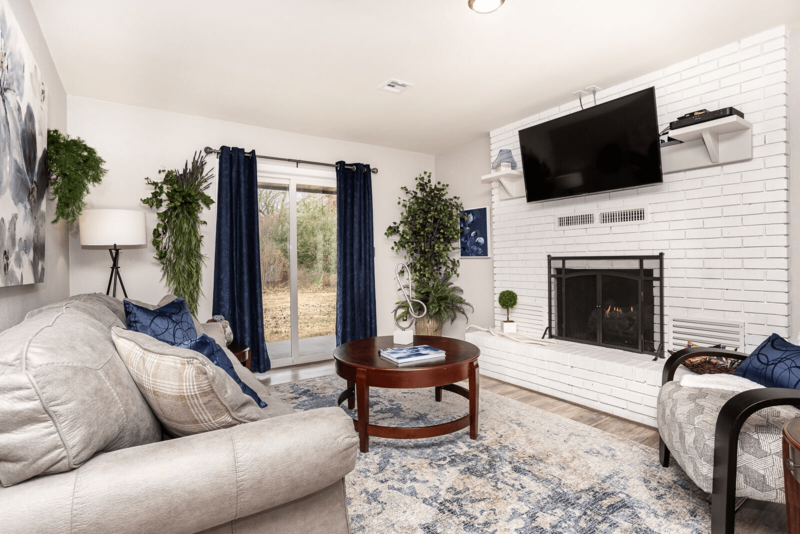 Comfy living area, comfortable mattresses, well-stocked kitchen and many other amenities including a garage for storing your car or a safe place to park your bikes. Make The Spencer your go-to place to stay when visiting Bentonville just once, and you’ll find yourself booking it again and again. Image courtesy of Scott C Wood Photography. Click here for best price. If you have a chance to rent this beautiful home, do so. It’s location is close to everything Bentonville, including trails, fantastic restaurants and amazing little bars, museums, live music and more. The house is new, spotless and beautifully appointed with everything you might need during your stay. The outdoor seating areas are welcoming, comfortable and conducive to reading, napping or conversation. A secure garage is available for your car or bikes. Debbie, the Superhost, is only a text away, and she is eager to respond to your requests or questions. Click here for the best price. BEDS : Master on first level has a king bed and in suite bath. Also on the first level is a queen bed with full bath outside the bedroom door. Upstairs are two bedrooms (one king, one queen) and a large shared bath. 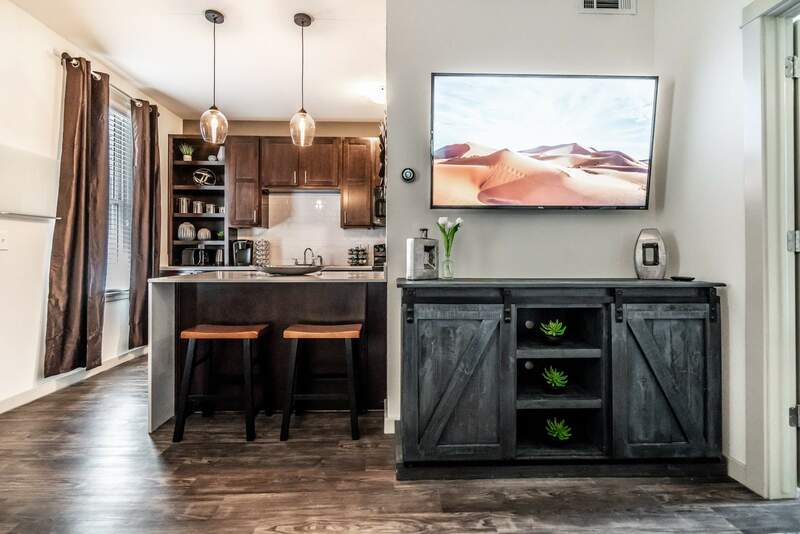 Whether you’re in town to experience the amazing nature that is unique to Bentonville Arkansas and its stunningly beautiful surroundings, or you’re here to enjoy the many cultural and dining opportunities that lure travellers from around the world, you will appreciate this delightful spotless and cozy townhome. Fully stocked with everything you’ll need, including chips. Kevin, the Superhost, aims to please, and is always responsive to your requests. 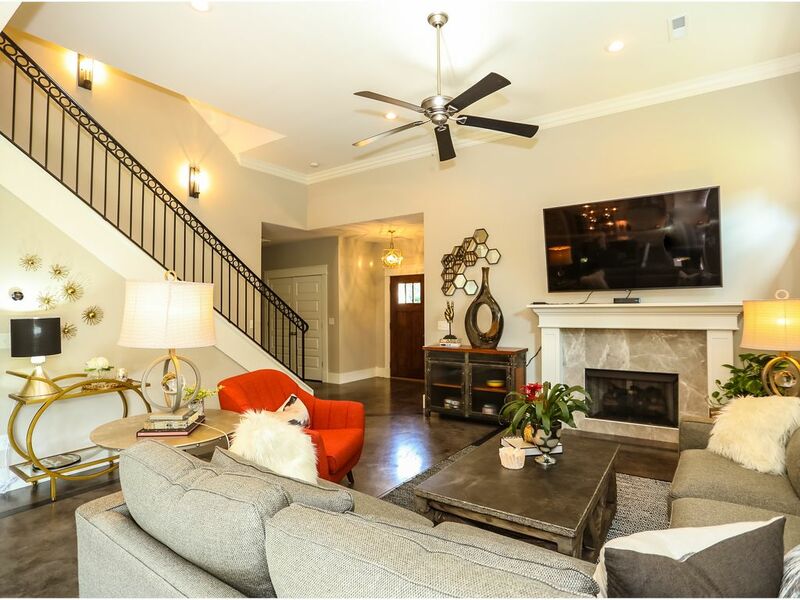 Just across the street from the 8th Street Market District and minutes away from Bentonville’s award-winning restaurants, this outstanding property will have you making repeat trips again and again. Click here for best price. 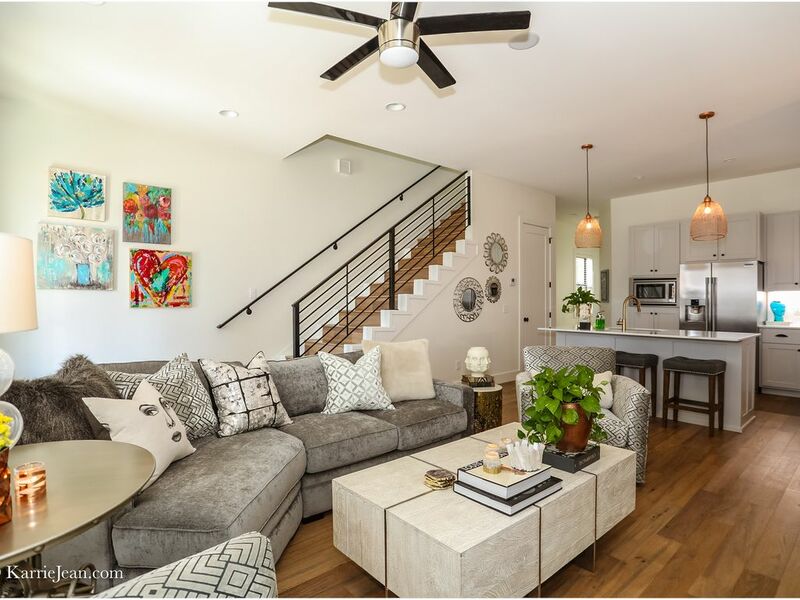 Heart of Bentonville 1st floor apartment location is beautifully designed and appointed with guests in mind. Your every need is provided for including a private, attached garage. Within easy walking distance to museums, hip restaurants and bars, The Historic Downtown Bentonville Square, Walmart headquarters and Compton Gardens. Relax and kick back in the clean, comfortable seating and sleep like a baby on the comfy king bed and queen bed. You’ll love this location that lets you experience Bentonville like a local. Image courtesy of Scott C Wood Photography. Click here for best price. Adventure seekers, cyclists, business travelers, vacationers, families and special event gatherings will delight in this beautifully decorated and perfectly located offering. 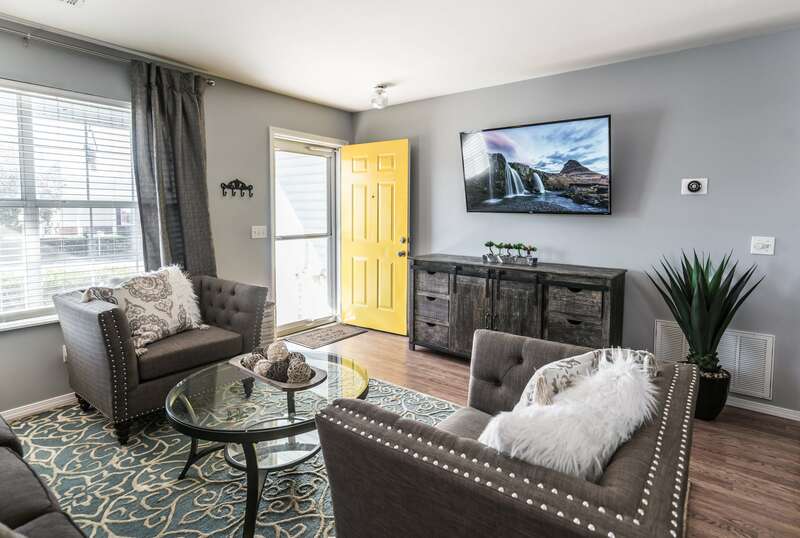 Convenience is key, you’ll find a professional grade kitchen for those nights you want to stay in, 3 bedrooms and 3 baths gives you room to spread out and relax, fenced in yard with patio and close to everything Bentonville to name just a few of its wonderful comforts. Museums are near by as are access to biking and multi-use trails. Exciting, carefree property, and one that is a joy to occupy. Click here for best price. This property is located in the very heart of Bentonville, within easy walking distance to the Historic Downtown Square, hip restaurants and delicious food trucks, trendy boutique shopping, live music, Walmart Headquarters, Crystal Bridges Museum of American Art, bike trails and all things that are Bentonville. Relax on the porch in the big white rockers, sip a drink and let the cares of the day melt away. Cyclists, there’s storage for your bikes. Whether you’re here for a bike race, vacationing or on business, you’ll love the comforts and conveniences of this wonderful, charming home. Click here for best price. Downtown Crystal Casa is conveniently located near all things Bentonville including, hiking and biking trails, The Historic Downtown Square, chef-driven restaurants, friendly walk-in bars, exciting museums, Walmart headquarters, boutique shopping and so much more. The professionally decorated home has everything you’ll need for your stay. Whether you plan to cook and entertain, or kick back and relax, this is the perfect property for you. There’s a handy garage for storing your bikes or car. Debbie, the wonderful Superhost treats her guests like royalty. Click here for best price. 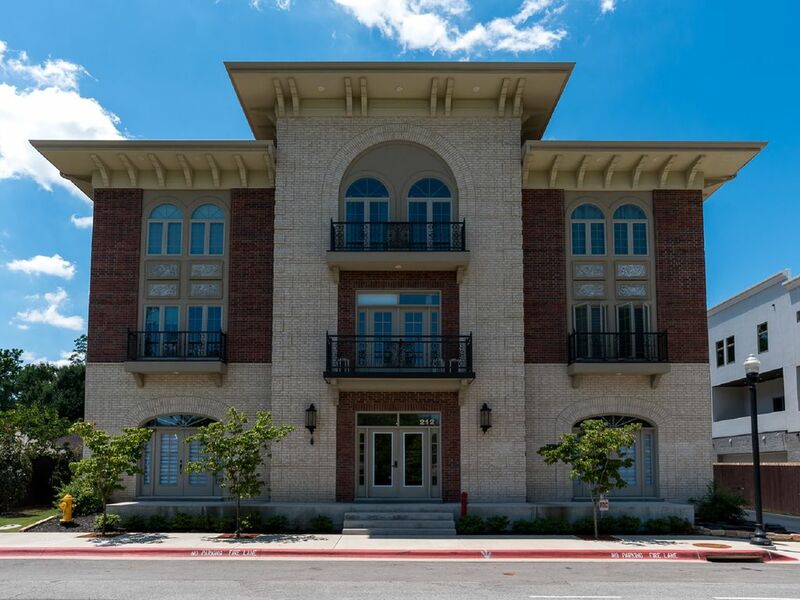 Close to all things Bentonville, this beautiful, modern 2nd floor apartment is perfect for the business traveler looking to experience Bentonville like a local. Located in the heart of the city, it is only blocks from the Historic Downtown Square, Walmart Headquarters, amazing Museums, boutique shopping, upscale restaurants and Bentonville nightlife. Cyclists are only steps away from trails. Bring your bike – bike mounts are available, but bring your own lock.. You’ll love this one-of-a-kind find in the heart of Bentonville. Image courtesy of Scott C Wood Photography. Click here for best price.